Upgrade your expectations at Triple Creek! Greenville's newest 100% Financing Approved Community. Nestled in a serene landscape, but so close to all of the amenities that you love! Triple Creek is just minutes from I-85, Woodruff Rd, Augusta Rd, Downtown Greenville and Major Employers like GHS, Michelin and BMW! 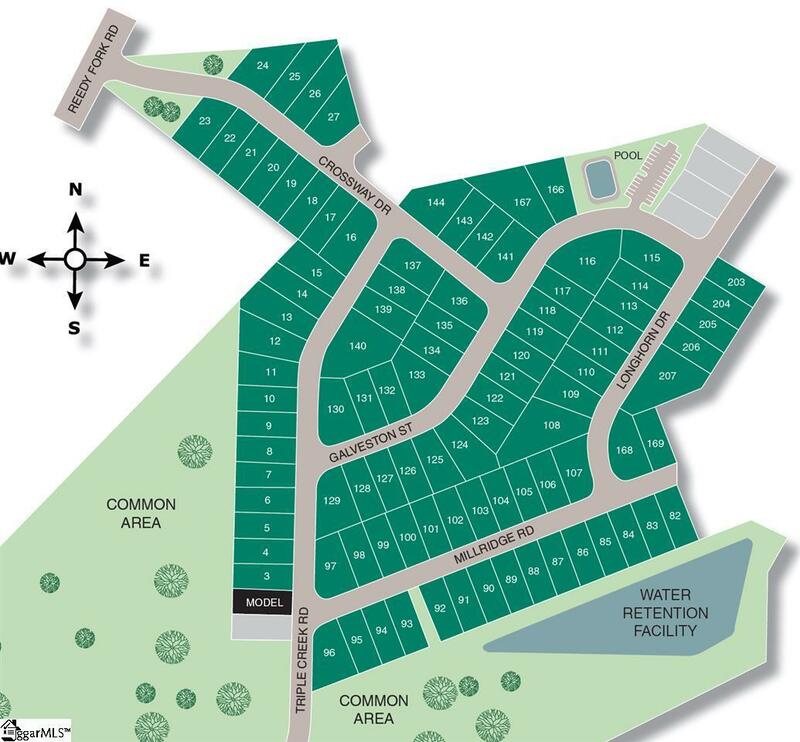 The Cali is the single story home that you have been searching for! Enter through the front door and you're greeted by a bright formal foyer. 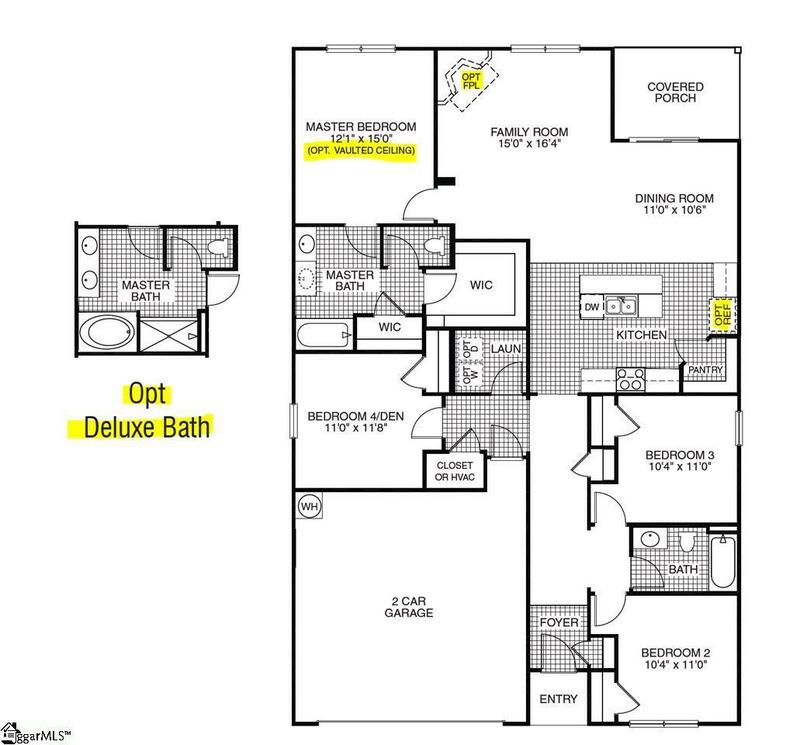 The first two bedrooms are off of the foyer and both feature large closets and a spacious central bathroom with raised height vanity. Continue down the foyer and you will come to the gorgeous, open kitchen which features a 8ft center island that over looks your large dining room and family room! This floor plan is perfect for entertaining as your kitchen and great room are all in one large space. Designer espresso cabinetry, nickel finishes and stainless appliances finish off the kitchen with an elegant touch. The great room is anchored by a gorgeous gas fireplace for those cooler evenings. Your large covered patio is just off of the main living area and is the perfect place to relax after a long day. Continue on to the owner's suite and you will find 12' vaulted ceilings, large walk-in closet and an upgraded bath that features dual vanity sinks, soaking tub and separate 4ft walk-in shower. The 4th bedroom is tucked away on it's own and is perfect for that teenager that you never see, or would also make a great den! This is an incredible value with all the benefits of new home construction with a 10 Year Home Warranty. 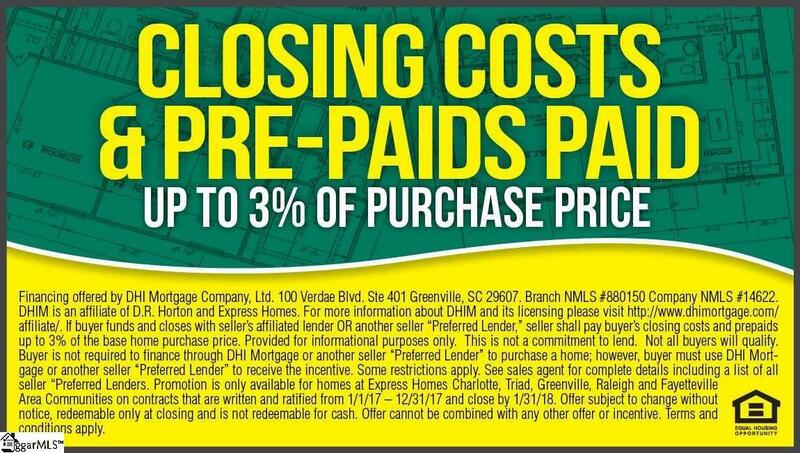 Finance your new home with our preferred lender and we will pay up to 3% your closing costs & pre-paids!